Re-live the Adventure! 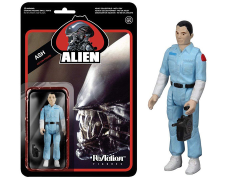 The long lost Alien Kenner action figures never went into production but they can now be added to your collection with the Alien ReAction Figures from Funko and Super 7! The 3 3/4-inch figure comes with approximately 5 points of articulation, accessories, and period-authentic blister-card packaging. They're great collector's pieces for fans of the retro Kenner-style action figure. 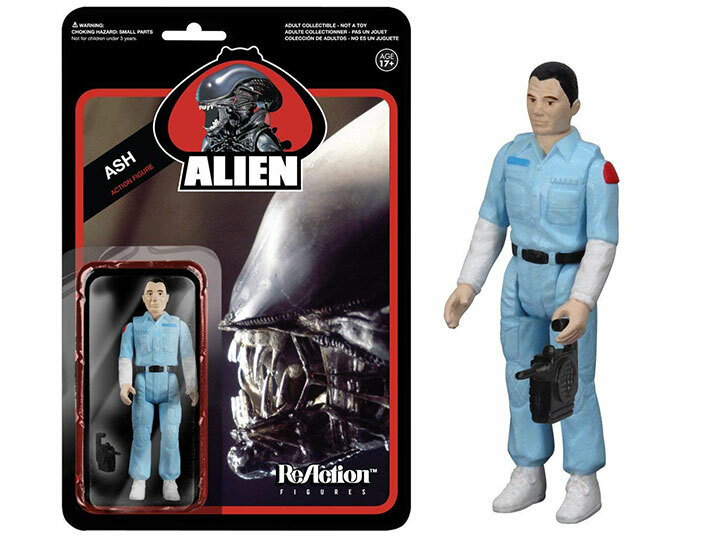 This Ash figure features limited articulation and includes the motion detector he uses in the movie!